Abstract: Nowadays, optimization of ship energy efficiency attracts increasing attention in order to meet the requirement for energy conservation and emission reduction. Ship operation energy efficiency is significantly influenced by environmental factors such as wind speed and direction, water speed and depth, etc. Owing to inherent time-variety and uncertainty associated with these various factors, it is very difficult to determine optimal sailing speeds accurately for different legs of the whole route using traditional static optimization methods, especially when the weather conditions change frequently over the length of a ship route. Therefore, in this paper, a novel dynamic optimization method adopting the model predictive control (MPC) strategy is proposed to optimize ship energy efficiency accounting for these time-varying environmental factors. 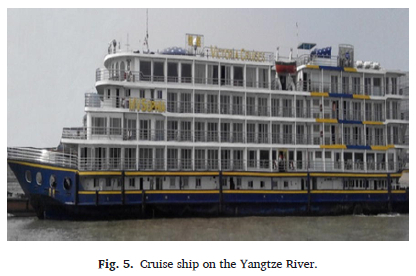 Firstly, the dynamic optimization model of ship energy efficiency considering time-varying environmental factors and the nonlinear system model of ship energy efficiency are established. On this basis, the control algorithm and controller for the dynamic optimization of ship energy efficiency (DOSEE) are designed. Finally, a real case study is carried out to demonstrate the validity of this optimization method. The results indicate that the optimal sailing speeds at different time steps could be determined through the dynamic optimization method. This method can improve ship energy efficiency and reduce CO2 emissions effectively. Reference: K. Wang, X. Yan, Y. Yuan, X. Jiang, X. Lin, R.R. Negenborn. Dynamic optimization of ship energy efficiency considering time-varying environmental factors. Transportation Research Part D: Transport and Environment, vol. 62, pp. 685-698, July 2018.